Hello! Welcome to our hop day two featuring Flags & Tags! This is an amazing amazing set with so many possibilities. I haven't been able to put these supplies away! If you're just joining us today, Flags & Tags is a three piece die set containing an over sized sentiment flag, curly label tag and double ended banner die. 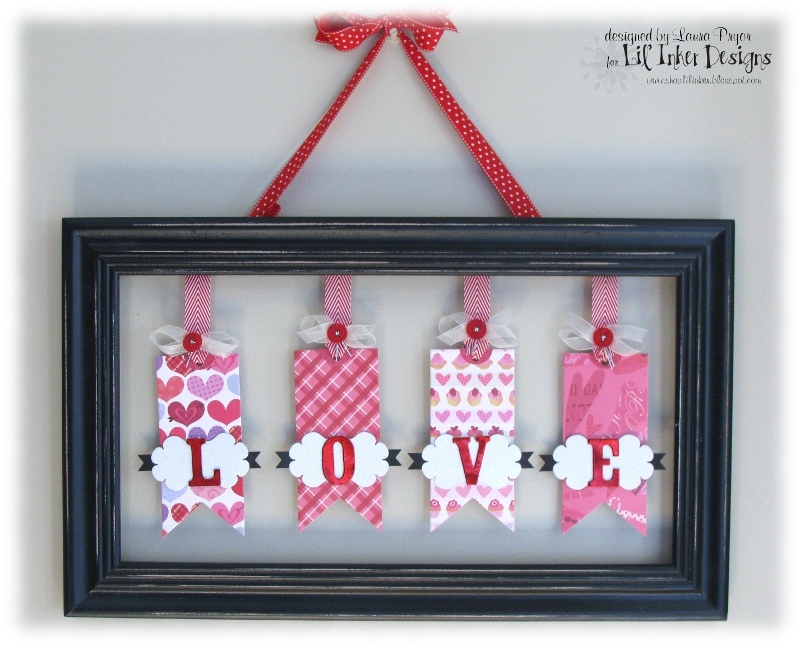 The three can be layered together for a beautiful look or used separately....LOTS of options especially when paired with the Flags & Tags stamp set. 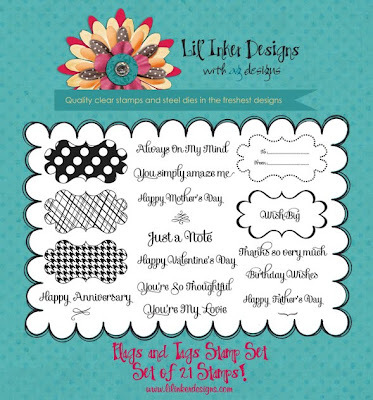 The coordinating stamp set has background images and borders for the curly label and BEAUTIFUL sentiments all which are perfectly sized to fit on the double ended banner die! one sentiment was even inspired by something my Grammy says to us all the time, "You're my Lovie". 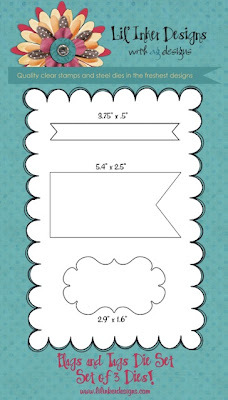 The Curly Label Tag is also the perfect tag for gift packaging with it's border stamp and To: From: stamp included in the set! I have been wanting to build on my Sentiment Flags concept for some time and I'm just so excited to be able to release this set this week. I finally knew which direction I wanted this set to take after making THIS CARD during our holiday release back in November. It's like a bell went off!!! 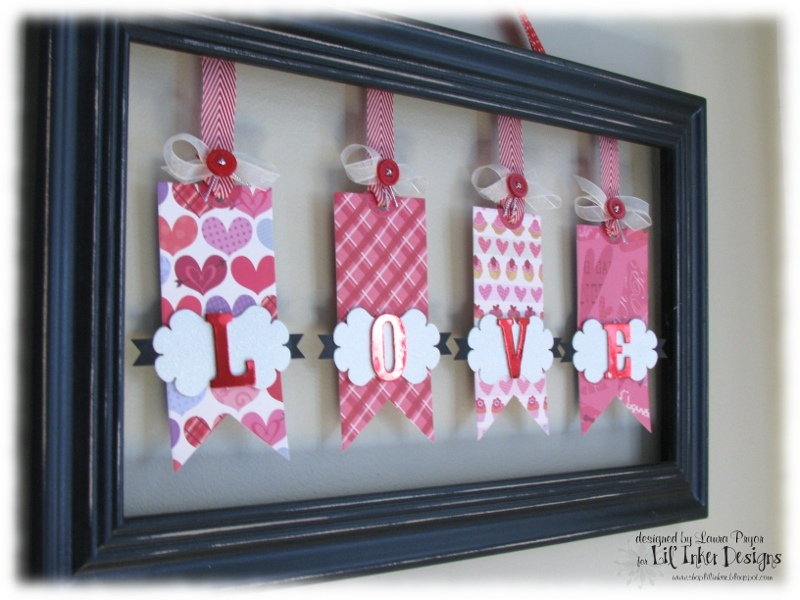 I made 4 tags to spell the word love and hung them inside the frame which has an open back (that's the wall color in the background). I hung this at the bottom of my stairs and it's literally in the perfect spot so I can see it all the time. 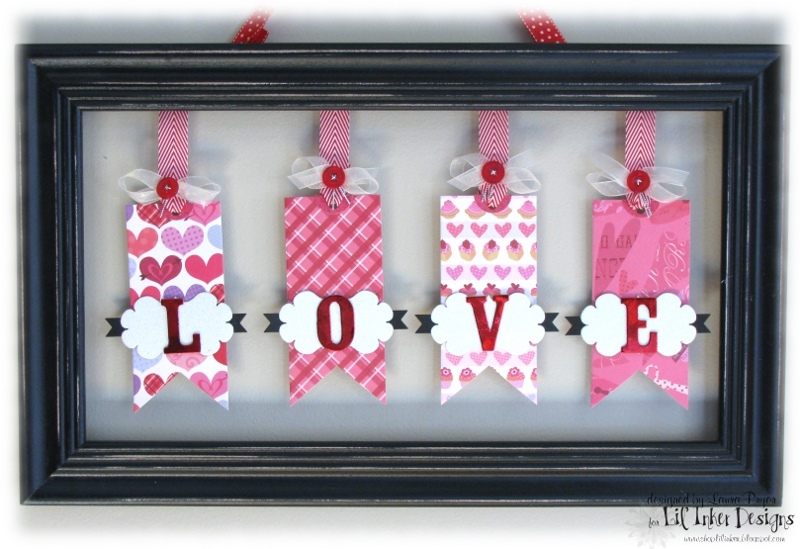 I was inspired to make this hanging tag decor after some Pinning on Pinterest...LOVE! This actually came together quite fast because of these FAB dies. I am so excited about the way this turned out!!!! It looks amazing in person....somehow my pictures just don't do it justice! I hope you see the versatility in this set as you hop along today! One word: AMAZING! Friday 1/20 is our Bonus Goodies release day. We have an AMAZING grouping of Valentine's Day items that you will be sure to SWOON over! 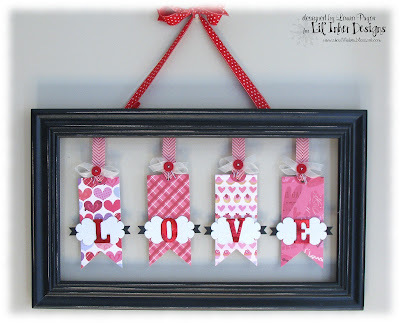 I can't imagine one crafter not wanting these goodies in their collection and I imagine they are going to go FAST! Don't forget to leave comments this week as 1 lucky winner is going to receive this month's 2 Cute Ink sets and someone will receive a $10 store credit. 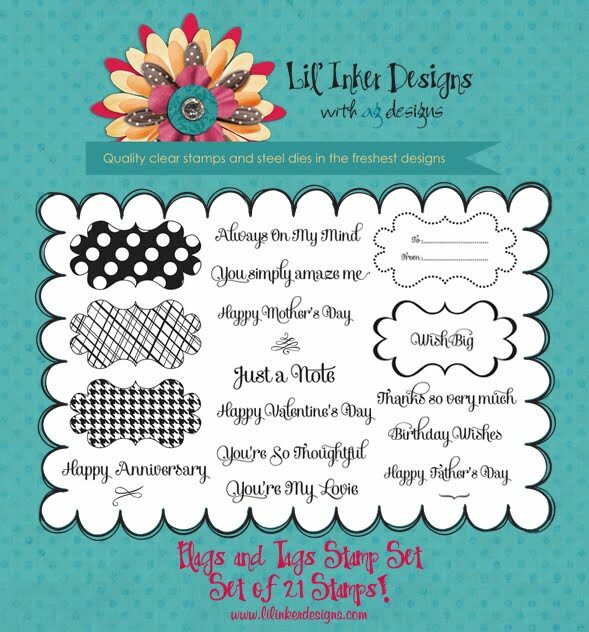 Our 2 Cute Ink sets are currently available for purchase in our store but our designers will be showing you projects featuring them tomorrow and Thursday. So if you wanted a sneaky peek of these 2 new sets, head on over to the LID Store! 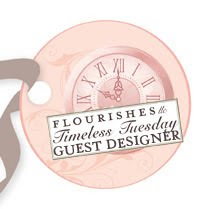 Now, I will send you on your way to see Amy Kolling who will be sure to have something fabulous for you to see today! Enjoy the rest of the hop today and see you tomorrow with projects featuring our new sets from 2 Cute Ink: Sweet Bee and Cutie Cat. We still have a limited quantity of last month's release from 2 Cute Ink (Arctic Friends, Snow Mouse and Cocoa Bear). Please visit the LID Store for more information! 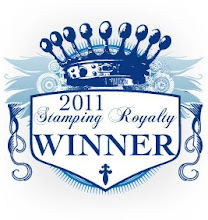 Laura, I am head-over-heels on these new stamps & dies!! Love this valentine project...adorable! Of course, think of the possibilities for every other holiday... Not to mention dooing a name, or any word/s...! 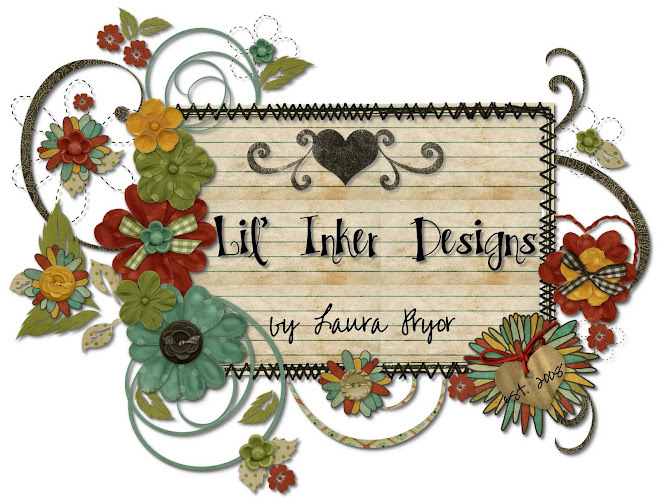 Your project is beautiful Laura! You are so clever!